Sharing my stories and memories! If They Can Do It, I Can Do It! — A Rosie The Riveter Tale. 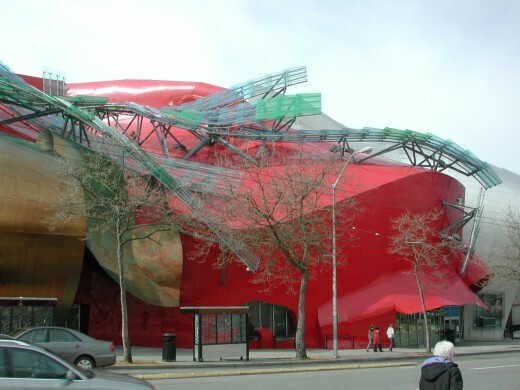 In Seattle, Washington, that green, but oh-so-rainy town situated in the upper-left-hand corner of these great United States, it was just another day at Experience Music Project. In other words, the day was a blank canvas, waiting to be filled-in with wondrous colors, beautiful designs, bold lines — figuratively speaking. You see, at EMP, every day had the potential of being “golden”. Spontaneous fun could break out anywhere, at any moment. And more often than not, it did. I was stationed in the wonderland known as Sound Lab, the ingeniously-designed space where visitors could come in, pick up and play real rock n’ roll instruments – basses, guitars or mics. — Where they could sit or stand behind a set of drums, or pound away on an electronic keyboard. Sound Lab was a popular attraction for those who were either good on an instrument, or not shy about learning how to play one. But some folks were very shy. They didn’t want to touch a guitar, even if they went behind a sound-proof door to play it. They’d ask, when we’d encourage them to give it a shot, “Are you positive no one can hear me?” We’d say, “Positive!” And still they wouldn’t give it a try. I got accustomed to meeting and greeting people who fell into both camps. They either were rarin’ to go, or totally opposed. 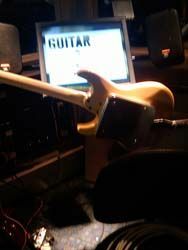 Having a lot of experience working with Sound Lab visitors, I never tried to force a guitar into anyone’s hand. I never pressured anyone to tackle a keyboard or vocal booth if they didn’t want to. Now, with the ones who did want to, there was no stopping them. Just get out of the way and let them do their thing! The joke which refuses to die. On this particular afternoon, Sound Lab was fairly deserted. Not a lot was going on. Not yet. I was busying myself with fine-tuning the axes, coiling cords, setting all the knobs on the amps, leaving EMP picks at the various guitar stations. – Just taking care of the little things that visitors would probably never notice; but they would if we let them slide…. Oh,come now! You’re pulling my leg. Suddenly, about a dozen elderly women came in, all in a group. As they surged through the door, you could feel their energy level, and sense their excitement when they stopped for a moment and looked around at all the “toys” which were just waiting to be played with. And before we VSR’s had a chance to say anything, these old ladies just naturally broke up into groups, walked into the various “Trios”, cranked up, and started jamming! Trios were booth-like compartments, configured to hold three instruments, such as one guitar, one bass, and a set of drums. Or, a keyboard, guitar and drums. By simply hitting a switch, the trio of players could hook up together and jam – even though they were separated by wooden partitions. By hitting that switch, they could hear each other through speakers, and they could jam. And, these women were just jamming away like there was no tomorrow! They seemed to need neither encouragement nor assistance from any of us VSR’s – Visitor Services Representatives. 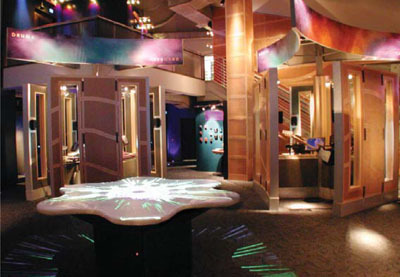 Most people who walk into Sound Lab for the first time require at least a short orientation or walk-through, so they understand what’s going on in the place. They may have questions about the various jam rooms, vocal booths, or the scratching turntable exhibit. But these ladies dispensed with all of the formalities, and happily played away. It was great to see and hear. I mean, it was. I was about 52 or so when this happened. I felt (and feel) pretty young – relatively speaking. And to see these much older people – women who were old enough to be my mother – engaging each other musically, amid much laughter and shouting, caused a lot of joy to well up in my heart. 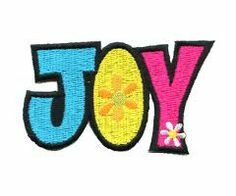 I think one of the reasons I was assigned to Sound Lab so often was because I was not afraid to feel, acknowledge and spread the joy. That what the place was created for! On this day, the joy was overflowing. Well, this little party had been going on for about 20 minutes or so. Everyone had switched around and tried the various instruments. They’d gathered around the Jam-o-drum to pound out rhythms – they’d harmonized in the vocal booths. Suddenly one of the ladies looked at her watch and shouted, “OK, everybody! It’s time to go over to On Stage”. Meaning they were going to give a fantasy concert, have their photo taken, and have that converted into a poster. Well, everyone stopped playing, and started to hit the door. Now, other than saying, “Hi”, or giving one of us a big smile, these women had totally ignored my co-workers and me. So, with a big grin on face, I blurted out, “Now just a minute! 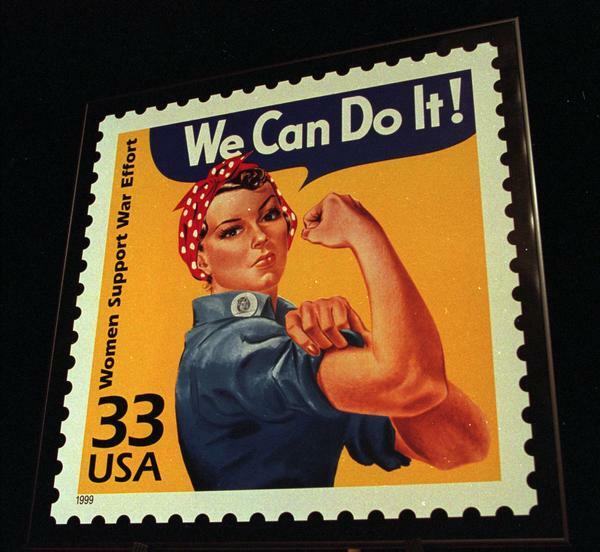 Who are you?” And their “leader” said, “We’re Rosie the Riveters. We worked for Boeing during World War II, and we’re having a reunion.” Well, we younger folks were flabbergasted. It’s one thing to see the famed image, which I’d say we’ve all come to know and love – at least those of us who were raised by strong mothers, who taught us that women can do anything a man can do, and maybe even do it better. 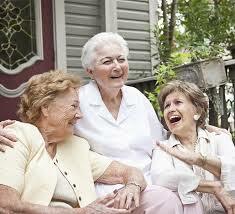 But to see a dozen real-life Rosie the Riveters, laughing and playing, in their supposed “old age”, was just something! Speaking for myself, I can say this: it was one of the best days of my life. I’m so less fearful of growing older. If they can do it, I can do it! 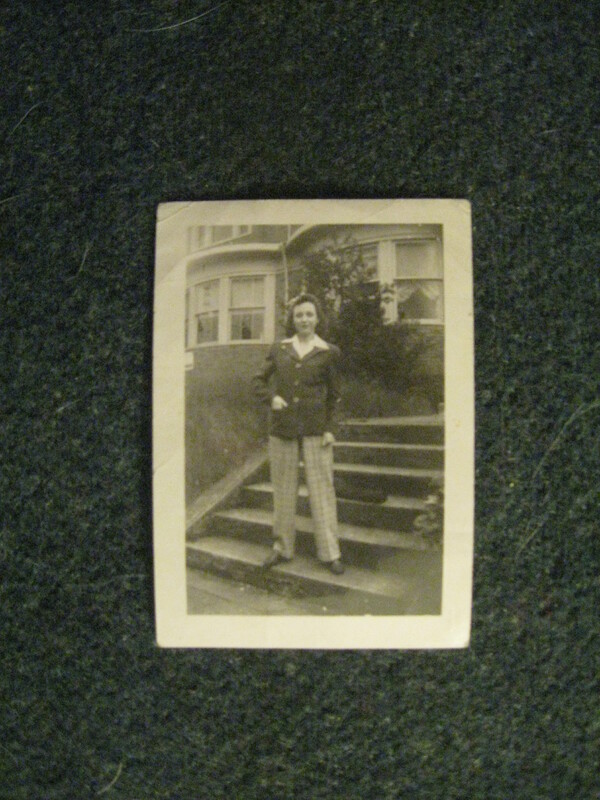 My Mom, pictured here, worked at Boeing during the war as a key-punch operator. Stereo Song, Or, Progress Never Stops. I’ve lived long enough to witness several “firsts”. This story is about one of those. I love complex stories containing twists and turns, tangents, even the occasional apparent dead end. Stories which, when we reach the conclusion, their various components resolve and complete a circle. – Like a good Seinfeld episode. Like most Seinfeld episodes. Everything always came together right before the program ended. Uh-oh. Did that reference go right by some of you? Well, I’m 66. 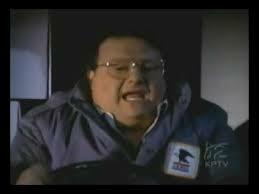 If you are in your teens/twenties/thirties, let me ask you: do you/did you watch Seinfeld? Or do you at least know quite a bit about it? Or is that once super-popular TV show relegated to the past, like so many things I love? – This story is about things becoming popular, becoming the norm, and then eventually, being forgotten. 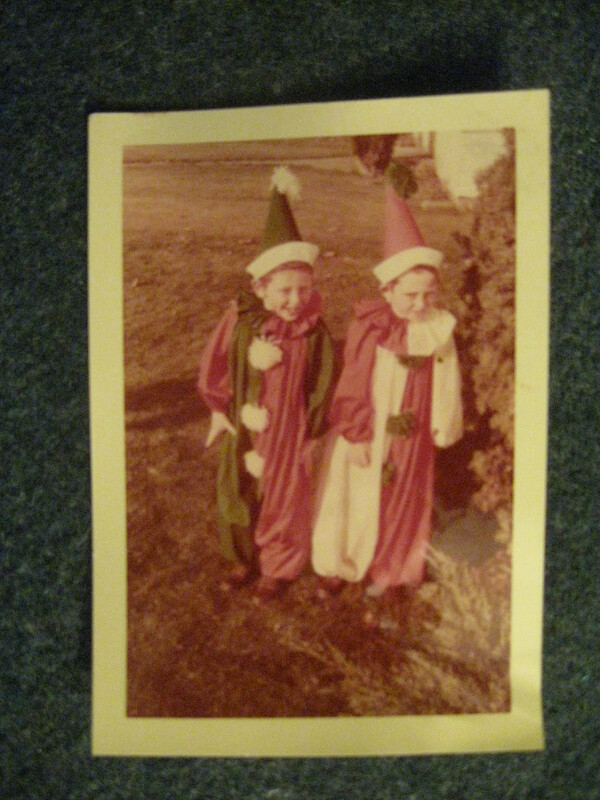 Your left: author; older brother Al Bowles III, circa 1957. 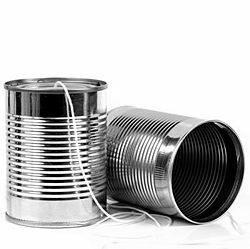 When my brother and I were under ten years old, we made a “communication device” utilizing empty tin-cans and string. Maybe all kids have done that. Maybe that’s something that just continues, because every kid is told how much fun it is. The components are readily available…. 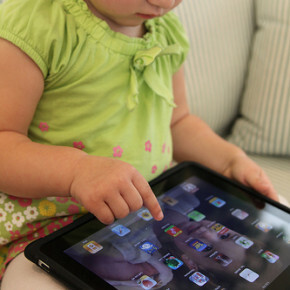 However, I think kids spend a whole lot more time communicating via computers or other smart devices than they do with tin-cans and string. But my brother and I communicated with tin cans and string, and we thought that was amazing. We acquired two empty ten cans from our mom (no, we didn’t get ‘em from our dad! ), with their top lids removed; we punched a hole in the center of the bottoms, waxed a string (why? ), and attached the string to each can, thereby attaching the two cans. Walking as far apart as the length of string allowed us, and thus, pulling the string until it was taught, one of us would talk into a can, while the other held a can to his ear. And we could hear each other! About five years later, my brother and I received a battery-powered walkie-talkie set for Christmas. These were hand-held devices containing a transmitter, receiver and antenna. They allowed us to travel as far apart as a quarter mile, and still be able to communicate. — Progress! 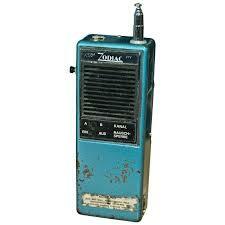 The next great leap forward, that I am aware of, was the citizen’s band, or CB radio. At first, long-haul truckers, and then mainstream drivers, began installing these devices in their vehicles. Giving themselves special CB names, or “handles’, like “The Happy Hauler” or “Rubber Ducky”, folks communicated back and forth over long distances, usually making small talk, or discussing road/weather conditions. Country singer C.W. 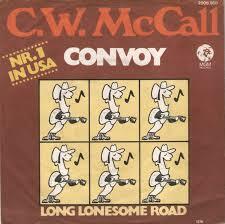 McCall even had a big hit with a CB-related song, “Convoy”. Some CB users and HAM radio operators (HAM radios were quite similar to CB’s; however they allowed extremely long-range communication) formed service organizations, volunteering their time and technology during emergencies such as floods and quakes. Next, after a lot of research, time and money, came the development of the cellular phone. Yes, cellphones were called cellular phones, then cellphones, then cells, and now smart phones, or smart devices. Or phones. Time has certainly marched on, as has technology. Now can you not only talk to someone very far away; you can watch TV, listen to music, pay bills, play games, find your next house/car/meal/girlfriend. Just for starters. You can walk down the street and have a conversation with someone very, very far away. In the old days, before everyone had cellphones, I would cross the street if I saw someone having an animated conversation. Because it would be with him or herself…. In 1963, my Grandpa Bowles showed me his restored Edison phonograph, which he kept in the study of his home in Spokane, Washington. (Do houses still have studies?) He didn’t act all proud about this possession; he just showed it to me and demonstrated it by playing a “cylinder recording” of a classical orchestra. He was used to it, so it was no big deal. He had one when he was quite young; he used it extensively, until it became outmoded. And yes, it played cylindrical recordings. Now that he was 70 years old, he had the nice restored Edison, because he thought it was fun to have one. But in Grandpa and Grandma Bowles’ expensively-decorated living room (they owned two furniture stores), a beautiful “hi-fi” sat across from the davenport (now there’s a 50’s term for you), offering all the latest bells and whistles (that’s what we called ‘em), meaning an AM radio and a modern turntable for playing the latest in recording technology: 33-1/3 RPM vinyl. 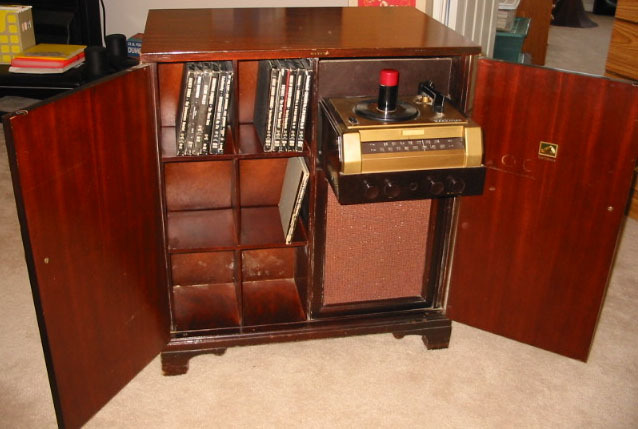 It would also play 16 RPM and 78 RPM records. (Don’t ask me why we had so many different RPM’s.) And the whole thing was packaged in a sleek, “Danish Modern” cabinet. Grandpa was interested in technology. 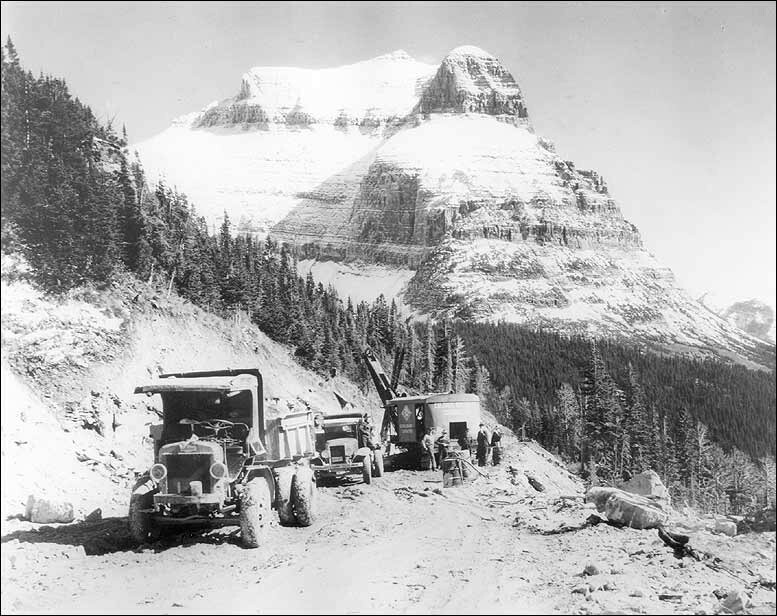 He helped “tame nature” in the 19-teens, building huge bridges; carving roads through mountain passes. I think when he looked at his old Edison, it made him feel good about what engineering and science had accomplished during his life span. He was looking at an attractive, but very primitive device, which represented a beginning. But again, in his living room, he could enjoy the be-all, end-all of current technology. In the 1950’s, when many of our neighbors had yet to purchase a TV “set”, we enjoyed watching the Perry Como show on our huge monster. The NBC Network (you didn’t just say “NBC”) presented the singer and all-around nice guy, every week. He would sing his wonderful, down-tempo (yes; he personified down-tempo) tunes, along with his fabulous guest stars. 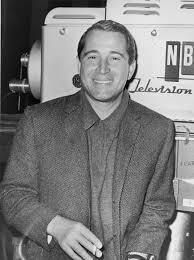 Our family would never miss the Perry Como show. Ever. When he sang Ave Maria, my dad would cry. We loved watching Perry and all the other stars our huge TV. “Huge TV” meant something different in the 50’s. It didn’t mean a 90” HD TV. 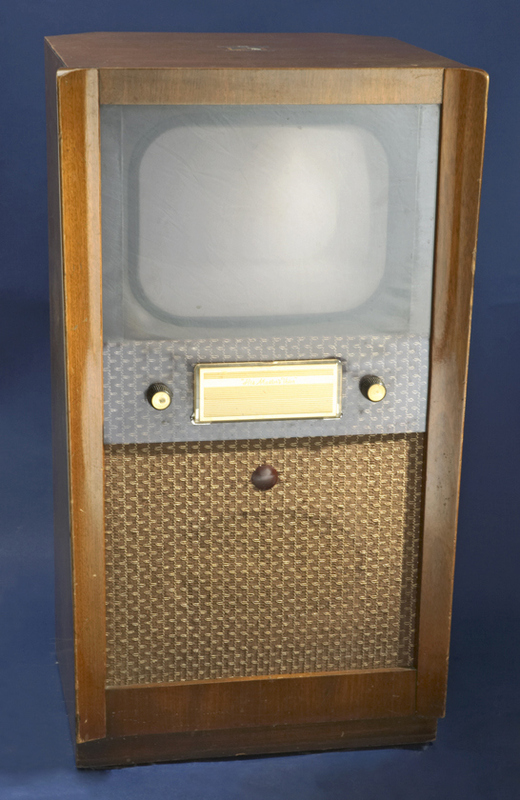 It meant a very large square box, made of metal or wood, containing all manner of tubes and wires; and it employed a great big glass and metal “cathode ray” tube. The thing had dials on the front. And no “remote”. The whole “set” weighed 40 or 50 pounds. It had one speaker. I live in a building where many of my neighbors have TV’s not that far removed from the huge boxes of the 50’s. We’re old people, in a senior building. The main difference in my neighbor’s TV’s and the 50’s models: they’re made of plastic now, and they contain components such as transistors or circuit boards. But they’re still huge, bulky things. As for myself, I waited years to buy a flat-screen TV, because I was afraid I wouldn’t be able to figure out its controls — how to operate it. I talked to my young friend Petri, who basically said, “Don’t worry. The TV will have all you need; it’ll just have more than you need”. (She knew me.) “But it’ll have the cable connection and functions you want”. So I bought a 19” one for $150, containing a DVD player. I know! You’re not supposed to do that! “What happens when the DVD breaks?” — I solved that by not watching DVD’s! That way it will never break. – I do my blogging, instead of watching movies. Heck, I haven’t been to a movie theater in nine years. My then-girlfriend took me to see “Neil Young’s Heart Of Gold”. It was so good, I haven’t felt the need to go to any more movies. — Guess what? The DVD in my TV broke. I know it’s complicated. Try not to let it overwhelm you. Back to the 50’s: Around 1957, during one of his weekly shows, Perry Como said, “Next week, we are going to do something fabulous! We will demonstrate the newest technology in sound. It’s called stereo. What I will need you to do is this: put your radio about 10-15 feet from your TV set, before we come on the air next week. Turn your radio to your NBC Network station. Then, turn on my show. We will show you what stereo is”. Dad got really excited. Well, if we ever missed the Como show, we wouldn’t miss next week’s. Talk about destination TV! — Dad was just like Grandpa. He was very interested in technology. He built a little “crystal radio” when he was a mere lad. He could pull in radio broadcasts, back in the 30’s, on his homemade device. 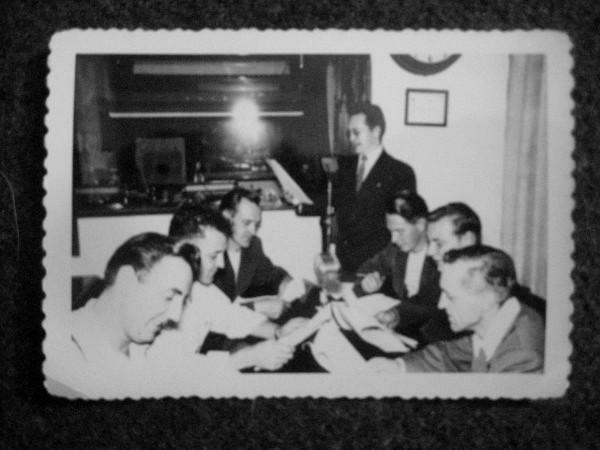 My Dad, Al Bowles, Jr., teaching his class at Rex Radio School, Seattle, WA, circa 1950. 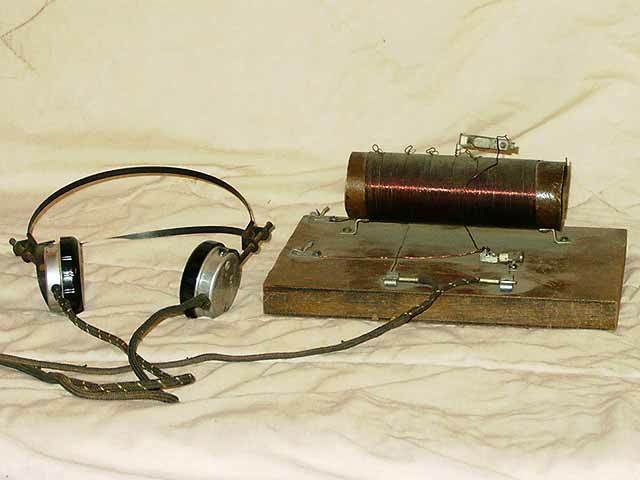 Don’t ask me to explain a crystal radio, because I never did figure them out. Like I tell my friends, my dad was the genius of the family. — But Dad started with that toy-like device, and went on to build a tube radio in the late 30’s-early 40’s; and then he became an actual radio broadcaster in the mid-40’s. 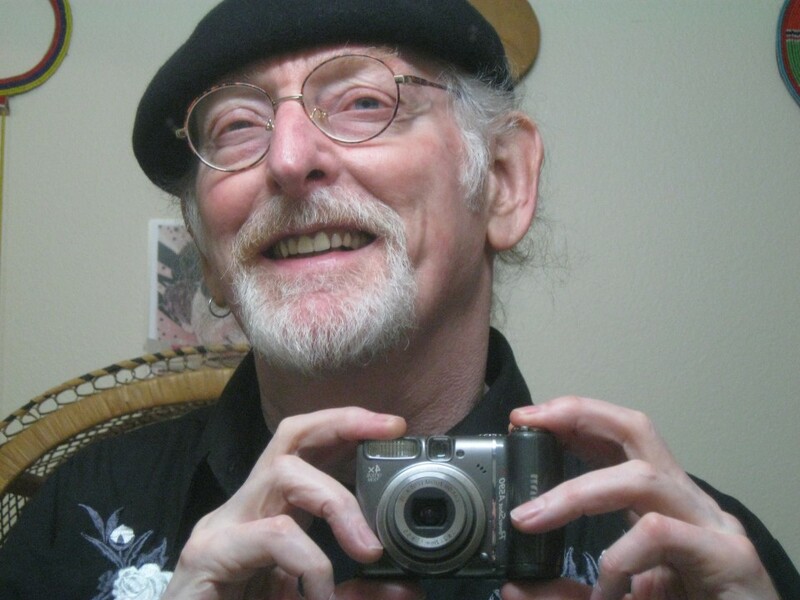 He spun jazz records at KXA in Seattle, plus he wrote a column for a great national jazz magazine, “Platter Chatter”. He got so good, so fast, that he was soon working as an instructor at Rex Radio School. The big night finally arrived. 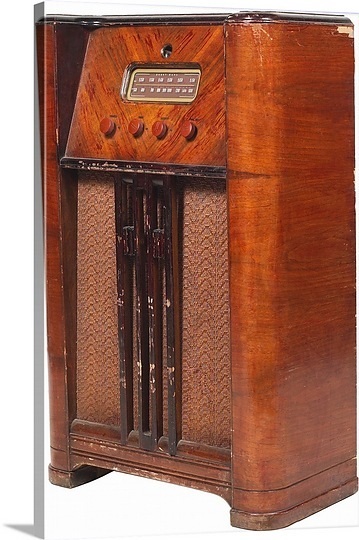 At least two hours before Perry Como was due to come on, Dad took our family radio (yes, we had what were referred to as “family radios”), a gargantuan Philco brand, featuring wooden cabinetry with art deco styling, and placed it 15 feet away from the TV. He precisely placed them in alignment. Then, he put his favorite TV-watching chair directly in the middle of the huge devices. I think, shortly before show-time, Mom probably popped some Jiffy Pop (ya’ll may know it as Jolly Time – it’s about on par with microwave popcorn – maybe worse). 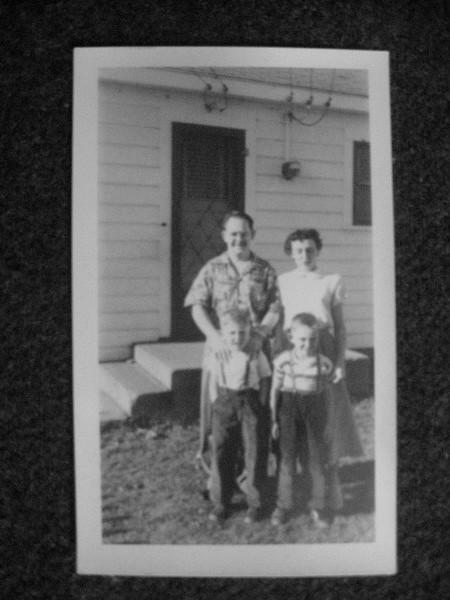 My family, circa 1953: Dad Al, Jr.; Mom Jeannie, author, brother Al III. At the appointed time, Dad switched the TV on, rotated the “tuning dial” to the channel which carried the NBC Network (we had two TV channels at the time), and he made sure the needle on the radio’s tuning dial was pointing to the NBC Radio Network station. And the Perry Como Show came on. After the usual opening segment, complete with a mellow song from Mr. Como, he announced, “And now, we are going to present the first nationwide demonstration of a wonderful new innovation in sound: stereo! 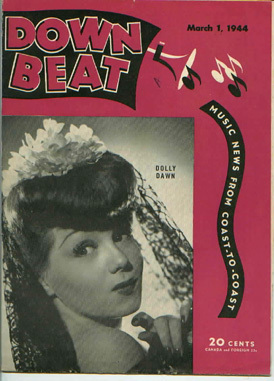 Turn your radios on, folks!” Dad jumped out of his chair, turned on the radio and sat back. We held our collective breath. (I’ve read that before: people always write, “We held our collective breath”.) Well, we did. Perry Como then divided his band into two sections and had them play. You heard half of the band playing on the radio, and the other half on the TV! We were all flabbergasted. Just drained, by the time the program was over. — Here is the strangest thing of all: TV didn’t become stereo TV for years. 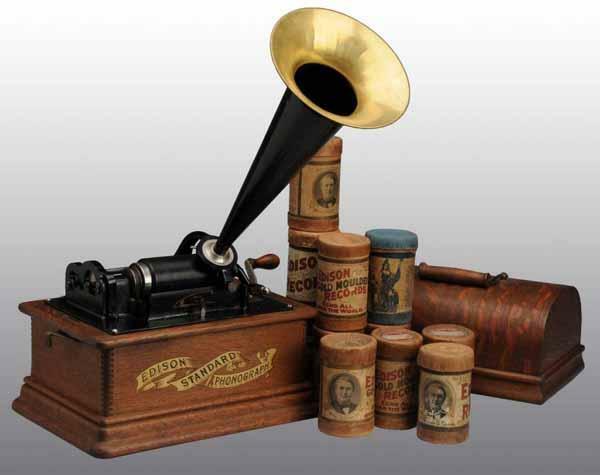 Instead, radio started broadcasting in stereo, and records were manufactured in stereo. As soon as it was financially possible, the Bowles household was sporting a new stereo outfit. With not just an AM band, but a new “FM” band, plus a stereo long-playing phonograph. And soon, Beatles records began making their way into the house…. 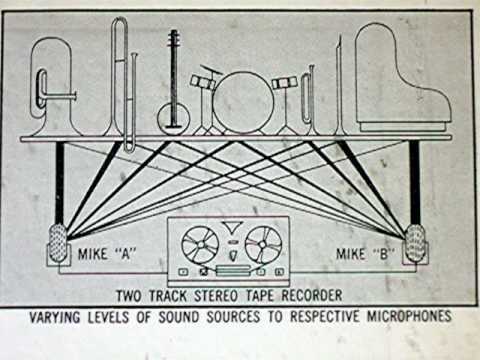 A very quick, basic description of stereo, straight out of my brain: two microphones are used to record a performer or group, on two separate channels. 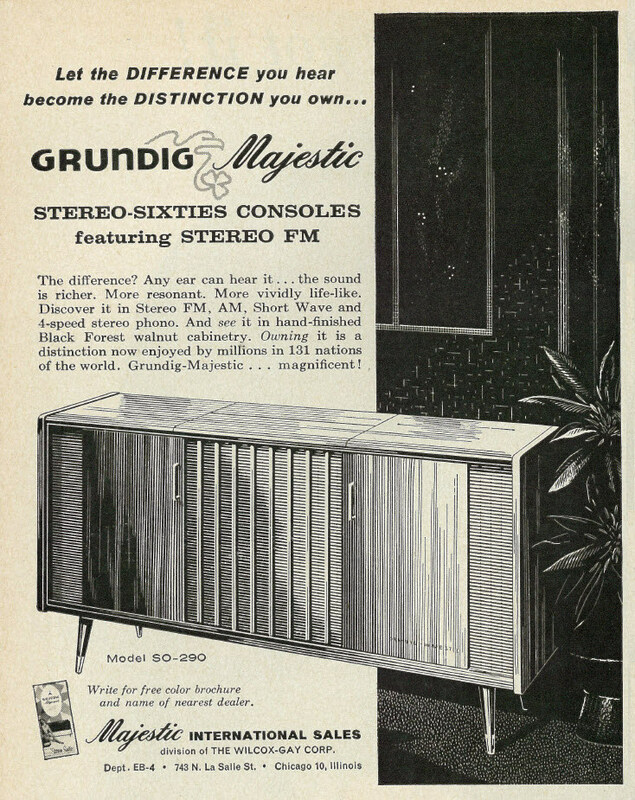 The sound is reproduced through two speakers. This imparts depth, realism and separation to the music. And special effects can be produced by panning from one speaker to the other. Simple. I’m not going to delve further into the nuts and bolts, or history of “stereo”. This is supposed to be a funny story, and the punch line needs very little set-up. Other than these twenty paragraphs you’ve had to read through to get this far. — But I did a little research, to at least try to tell you, definitively, when that particular Perry Como show took place. 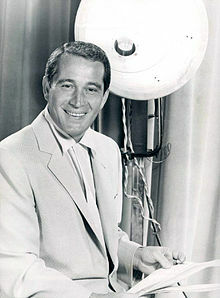 Well, I found that my knowledge of the subject trumps that of the person who wrote the Wikipedia article re: stereo, because there was no mention of Perry Como presenting the first nationwide stereo broadcast. But Perry Como would not lie. If he said it was the first national broadcast of stereo, then it was. 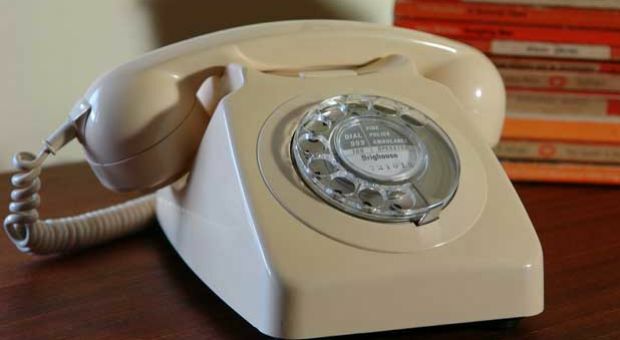 I recently saw a cute YouTube video where modern-day (love that term, because it only applies, the moment you use it) children were shown dial telephones. They didn’t know what they were. – Why would they? Technology comes, gets old, is replaced, and then, it is often forgotten. I don’t make fun of kids who don’t know what a dial phone is; I like it when they don’t make fun of me when I don’t know how to work their I-Pad. Here we go! The actual story! 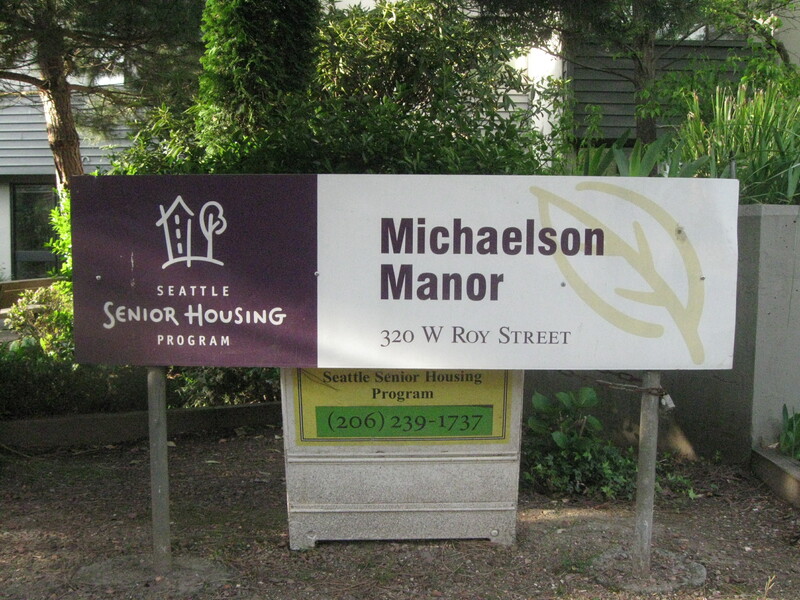 So: A few years ago, I was visiting with two of my favorite co-workers, a young man and woman in their twenties. We normally talked while we worked. We had one of those jobs where you could do that. We talked about everything. But we were music lovers, so we often discussed music. 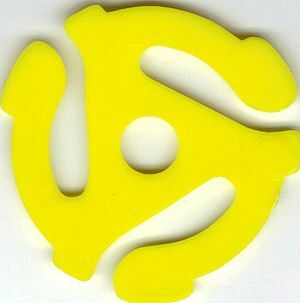 One day, we got around to talking about the technology of music. I volunteered (bragged) that I had witnessed the first nationwide stereo broadcast. I explained how, when I was about eight, Perry Como (they seemed to know who I meant!) had told his viewers to place their radio about 10-15 feet from their TV, in advance of watching the next week’s show. He said to turn the radio to a certain network, and to turn his show on. He would demonstrate stereo. I related how my dad got really excited; he set up the radio and TV, and we indeed watched the first nationwide stereo broadcast. And it was amazing. Our whole family was just slain. 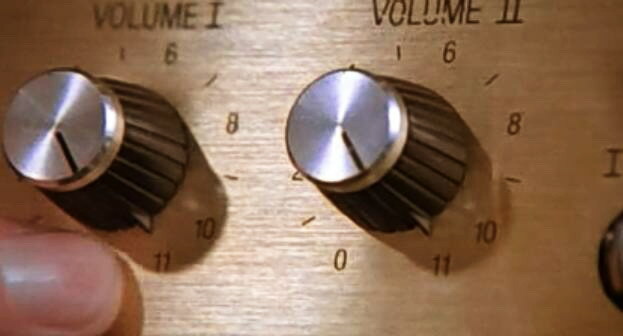 My two young friends looked up from their work, turned to me, and simultaneously asked, “What’s stereo”? 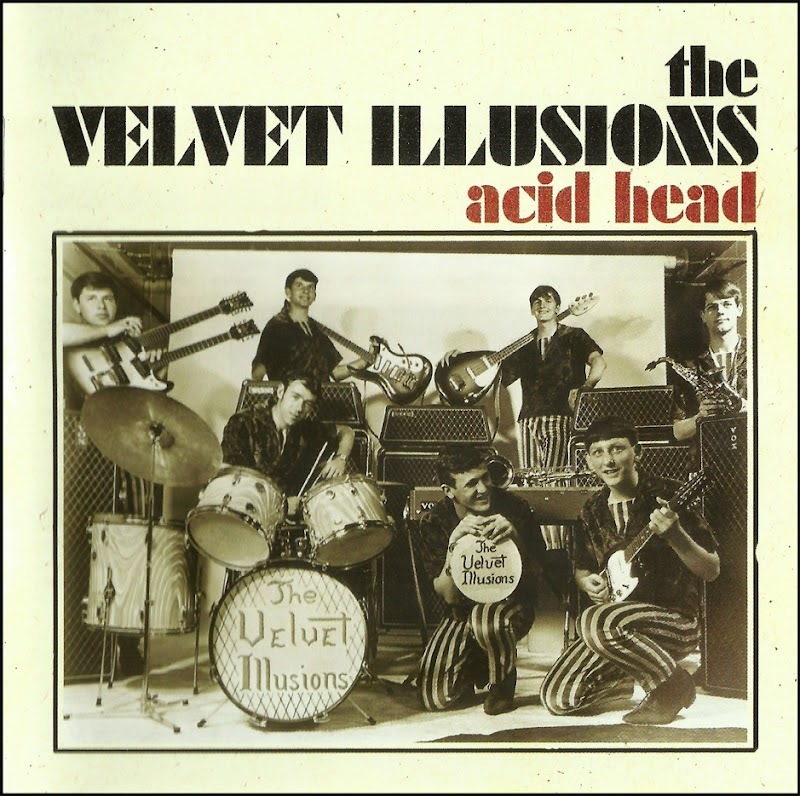 Velvet Illusions CD, released 2011. Thank you, Gray Newell, for producing our CD. 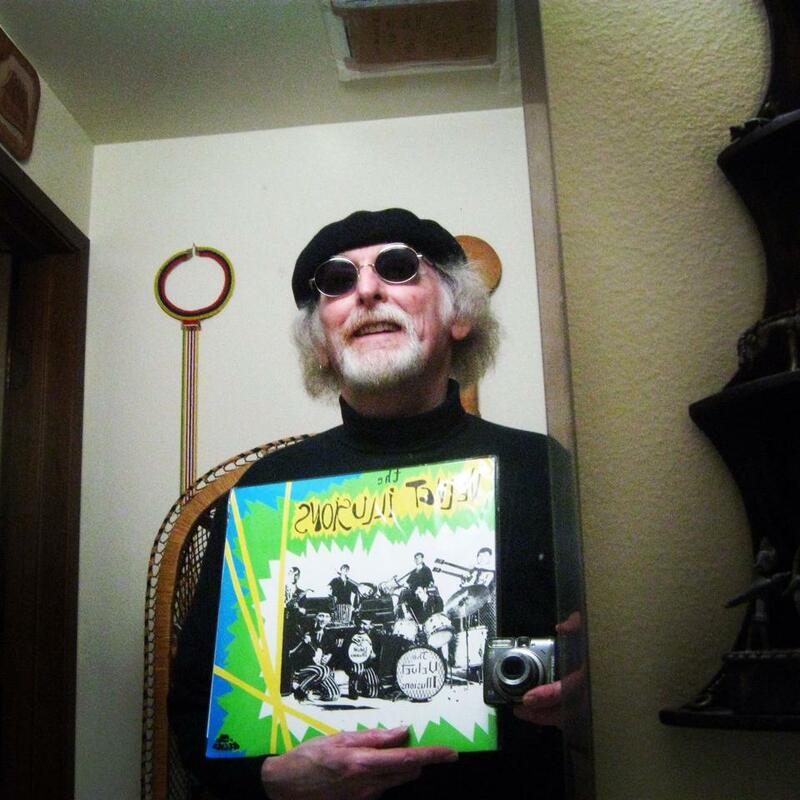 Your author holding the Velvet Illusions LP, released 2015. The faint of heart can stop reading now. I won’t say I got my payback for being made to feel like an old man by my two young friends. I won’t say I got even. — I’m not sure how to word it. But the young woman who didn’t know what stereo was, wound up moving in with me about two years later, and we had a whirlwind romance. Until it ended. Became a thing of the past. Got old. But for a while, I was a blast from the past! I visited my dentist to get my lower denture glued back together recently. My friend Jasmine, his dental assistant, was talking with a co-worker on her mobile communication device (headset and microphone). — My dentist’s office is huge; it takes up two floors; they need to coordinate activities. I told Jasmine I was doing a story on technology, and I asked her, “What do you call that?” “Call what?” “Your mobile communication device.” “Oh! It’s a walkie-talkie.” — I basically lost it at that point…. In 1978, when I was a member of the Seattle “outlaw country” band, Stampede Pass, we opened for C.W. McCall, the country singer who sang about CB radio, for eight shows, at the Seattle Kingdome. His band, believe it or not, was the famous Chip Davis and Mannheim Steamroller! 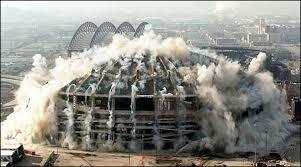 The Kingdome is gone. Imploded. What? You never heard of it? Oh. Sorry.